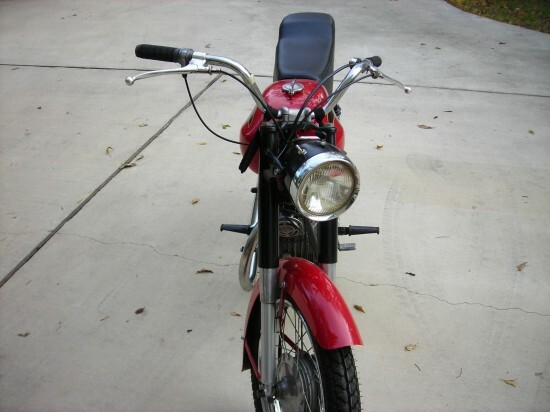 The Little Guzzi trend continues with this nice, restored 1966 Moto Guzzi 125 Sport, also known as the “Stornello.” Don’t let the bright red paint and Italian style fool you: this was designed as practical, reliable transportation for the masses. 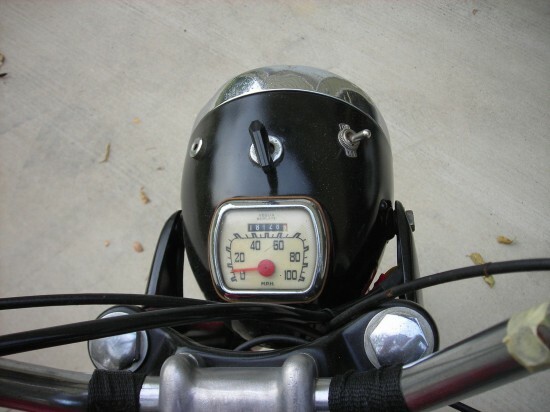 The dash of style just helped move product out the door and differentiate Guzzi’s bike from competing bikes. Its 123cc pushrod single made a modest 7bhp, but that number doesn’t tell the whole story. The little Stornello had a supremely flexible powerband and Guzzi’s characteristic spread of usable torque, perfect for the commuting and general riding duties for which the bike was intended. I am selling my rare and collectable Moto Guzzo 125 Sport, I have too many bikes. The bike is completely restored. The engine was bored to .040 with new piston, rings, pin, new valves and guides. 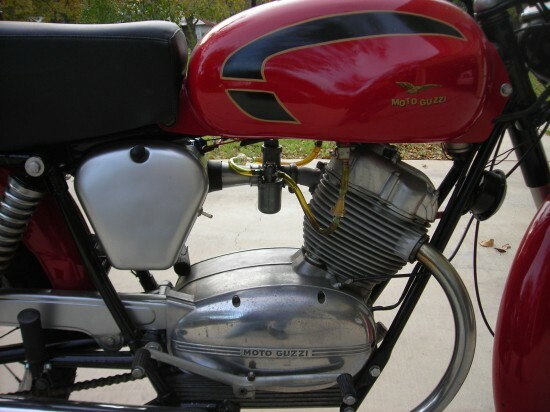 The carb is original, gearbox is smooth and has a new kickstart spring and seals. Original exhaust system in beautiful condition. Frame was media blasted and powdercoated in black. 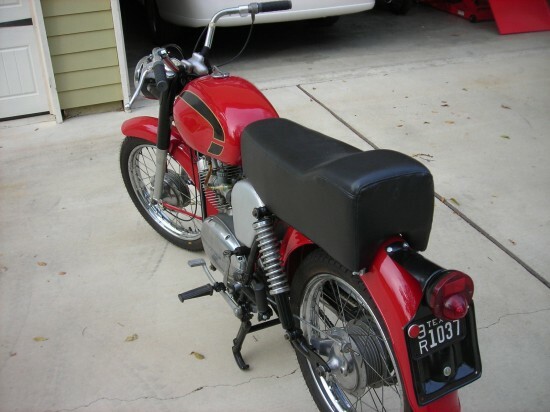 Tank, fenders, and all sheet metal are original and re-sprayed with PPG in original color. New Michelin tires and tubes, new battery. Seat was rebuilt on original seat pan. The ignition/light switch in not functional and the lights run off the battery-no recharge. This is a beautiful and nice riding bike and a true collector machine. No starting price but there is a reserve. I would prefer that the buyer pick up but I could crate if you arrange shipping. I have a clear Texas title. 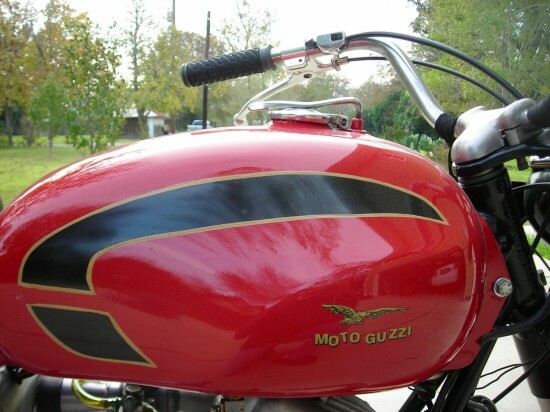 Bid high-this is a sweet Guzzi. Buy yourself a Xmas gift. These little Guzzis aren’t particularly exotic in Europe, but here in the land of 800 pound motorcycles, they didn’t sell too many, and they’re correspondingly rare as a result. The 125’s are very robustly built and reliable, as they were intended as sporty commuters, not highly-strung racers, but parts to keep them running can prove difficult if you plan to ride, rather than show your bike. This looks to be a fun one, and bidding is still south of $2,000 with two days left in the auction. This bike has been SOLD and is now a part of my collection in Oklahoma. It will be rode and shown.